Along with Brazil and India, the United States has one of the most complex sales tax systems in the entire world. Today, we’ll demystify U.S. sales tax for you, whether you live in the U.S. or live outside the U.S. and are looking for information about selling to buyers in the States. There is no national sales tax in the U. S. Instead, sales tax is governed at the state level. Each state can decide whether or not to have a sales tax, and forty-five states and Washington D.C. all do. Only five states – Alaska, Delaware, Montana, New Hampshire and Oregon – do not have a sales tax. Sales tax is a small percentage – usually between 4 and 8% — of a retail sale. Sales tax is collected by the retailer and passed on to the state at periodic intervals. The state then uses that sales tax to pay for state and local budget items like schools, roads, transportation and public safety. Most states that have a sales tax also allow local areas (like cities and counties) to have a sales tax, too. When making a purchase at a brick and mortar store in the U.S., you might see that you paid an odd number like 6.75% in sales tax. When should merchants collect sales tax? 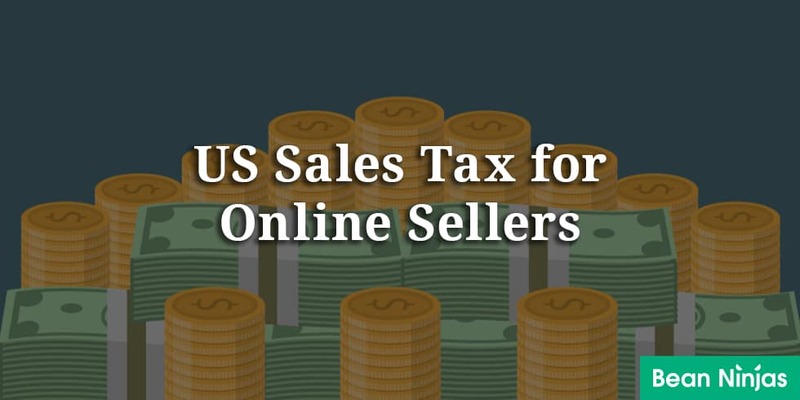 In the U.S., merchants (whether brick and mortar or online sellers) are only required to collect sales tax in states where they have “sales tax nexus.” This is due to a precedent set by the U.S. Supreme Court case Quill v. North Dakota. Sales tax nexus applies whether you are based in the U.S. or outside the U.S. If you have a location, personnel, inventory, etc. in a U.S. state, then that state requires you to collect sales tax from in-state buyers. To help you determine whether or not your business activities give you sales tax nexus, you can find out what every U.S. state’s laws have to say about nexus here. A large nationwide retailer in the U.S. (like Wal-Mart) would have nexus in every U.S. state with a sales tax, because they have stores located there. On the other hand, an online seller who merchant fulfills from her house and doesn’t have any business dealings in other states might only have sales tax nexus in her home state. If you have nexus in a U.S. state, then that state requires you to register for a sales tax permit. Don’t skip this step and start collecting! Most states consider it illegal to collect sales tax from buyers without holding a state sale tax permit. In their suspicious minds, if you are collecting without a permit you may be keeping that money in your pocket. As with everything having to do with sales tax, registering to collect sales tax is different in every U.S. state. You can find our state-by-state guides on how to register for a sales tax permit here. When you receive your sales tax permit, your state will also assign you a sales tax filing frequency and due dates. You will usually be required to file a sales tax return monthly, quarterly or annually. As a general rule, the higher your sales volume in a state, the more often that state will require that you file and remit sales tax. Once you have your state sales tax permit, your next step is to ensure that you are collecting sales tax from buyers in your nexus state (or states.) If you sell on multiple sales channels (ex: Etsy and Amazon FBA), make sure you are collecting sales tax from all of your buyers in your nexus states on all of your sales channels. Most online shopping carts and marketplaces have a setting to allow you to automatically collect sales tax from your customers. That said, some shopping carts and marketplaces have more robust sales tax collection engines than others. For example, Amazon’s sales tax collection engine allows Pro Sellers to collect at the state, city, county and other local levels. They also take into account origin and destination based sourcing within each state, and things like shipping taxability and product taxability. Other platforms, like eBay, only allow sellers to collect at a single sales tax rate per U.S. state. This can be a big problem for online sellers who are trying to collect the right sales tax rate. Some U.S. states have “origin-based sales tax sourcing” and some have “destination-based sales tax sourcing” for online sellers. In origin-based states, like Tennessee, an online seller based in the state charges the sales tax rate at the origination points of a shipment (i.e. your home or warehouse.) In a destination-based state (and most U.S. states are destination-based) then you as an online seller are required to collect sales tax at your buyer’s ship to address. This means keeping track of sales tax rates all around a state. And states can have hundreds of sales tax rates! This can be a tough concept to wrap your mind around, so you can read a lot more about origin vs. destination-based sales tax sourcing here. Do you charge a shipping charge to your customers? If so, you may have to think about sales tax on shipping charges, too. Some states consider shipping charges a part of the taxable sale (and thus you should charge sales tax on the shipping charges), and others consider shipping charges separate from the taxable sale (thus you do not have to charge sales tax on those charges.) 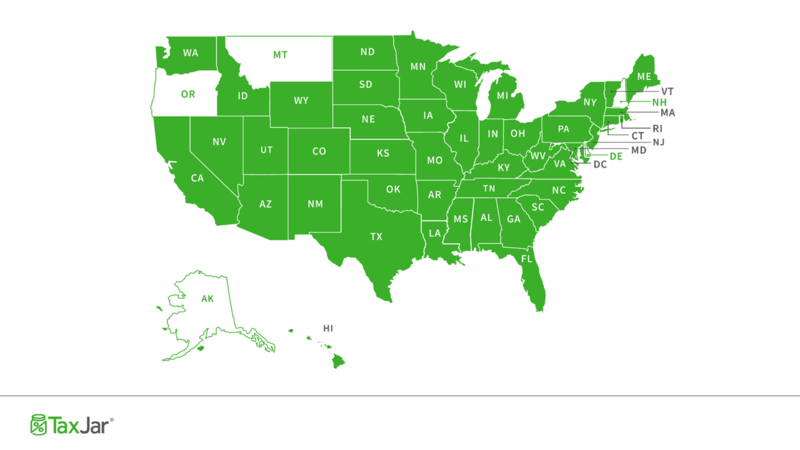 You can see which states consider shipping taxable here. Most tangible personal property is taxable. But some states will legislate that some items – usually necessities like groceries or clothing – are not taxable. As with everything related to sales tax, this varies by state. For example, clothing is not taxable in the state of Pennsylvania. If you had nexus in Pennsylvania and sold clothing to a buyer in Harmony, PA then you would not charge sales tax. You can check here for information about what products are and are not taxable in each U.S. state. Collecting sales tax can be complex, but fortunately most online platforms fall somewhere between Amazon and eBay in allowing you to collect the right amount of sales tax. You can read more here about setting up sales tax collection on the most popular eCommerce platforms. When your state sales tax filing due date rolls around (remember, this will usually be either every month, every quarter or once per year), then it’s time to report how much sales tax you’ve collected. In a handful of states with no local tax rates, this is fairly easy. They merely want you to report how much sales tax you’ve collected from buyers in that state. But in most states, reporting sales tax is a complicated and time-consuming hassle. The majority of U.S. states want you to break down how much sales tax you collected from buyers in each county, city and other special taxing jurisdiction. This can be difficult if you have a high volume of sales, sell on multiple channels, or simply because your customer’s county and special taxing district can be difficult to determine! That’s where a sales tax automation solution comes in. Technology can connect with all the channels on which you sell, pull in all of your transactions, and provide you with a sales tax return-ready report. All you need to do is fill in the info from your report and you’re ready to file. Or, if you’d rather never touch a sales tax return again, you can AutoFile your sales tax returns in most U.S. states. 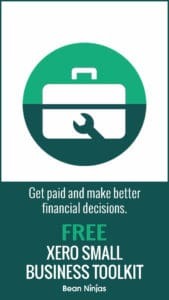 File on time – States generally levy a penalty of about $50 per past due filing, and also charge a small percentage of interest on any late payment. File “zero returns” – File a sales tax return on your due date even if you don’t have any sales tax due. Most states require this, and will levy a penalty if you fail to file, no matter if you had collected sales tax over the taxable period or not. Don’t discount sales tax discounts – About half the states with a sales tax will allow you to keep a small percentage of the sales tax you’ve collected. While this amount is usually around 1% of the sales tax you collected, be sure to take advantage of this free money! Most states require that you pay via automated clearing house (ACH) transfer from a U.S. bank account. We recommend contacting a good CPA or tax attorney if you need help getting set up to collect sales tax in the U.S. I hope this article has given you a broad view of U.S. sales tax. If you have questions or comments, start the conversation here! Jennifer Dunn is Chief of Content at TaxJar, a service that makes sales tax reporting and filing simple for more than 7,000 online sellers. Try a 30-day-free trial of TaxJar today and eliminate sales tax compliance headaches from your life! TaxJar makes sales tax reporting and filing simple for more than 7,000 online sellers.